List Price $ 15.90* each *Please note pricing is USA only. The Master Lock No. 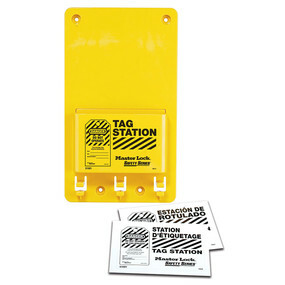 S1601 Safety Tag Center, unfilled, features a durable 5-3/4in wide x 9-3/4in tall (14.6cm x 24.7cm) construction to hold 18 tags or 14 Guardian Extreme™ tags. 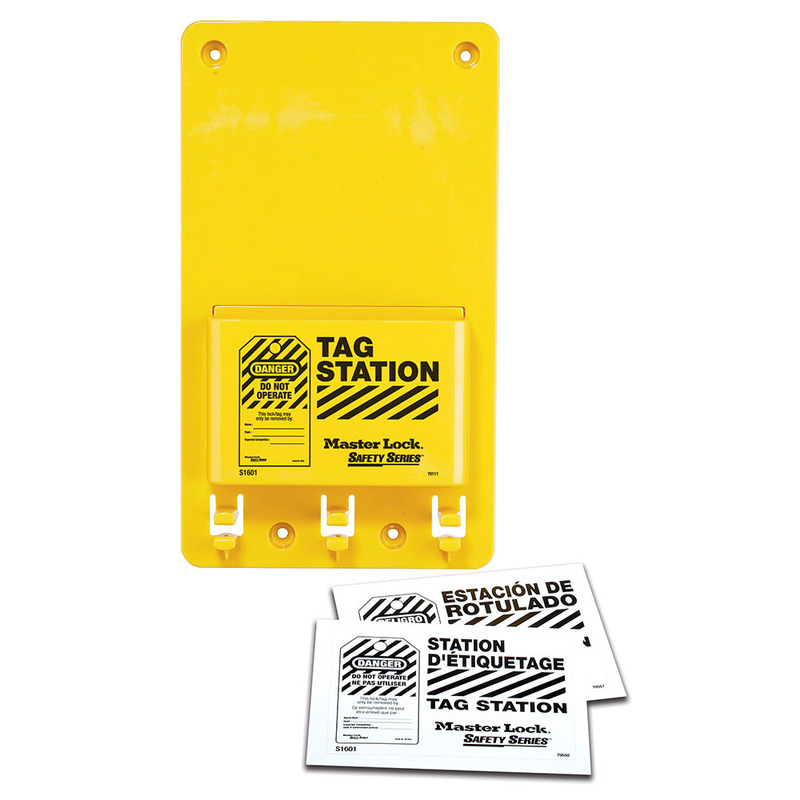 The center includes three hanger clips for safety padlocks and/or hasps. 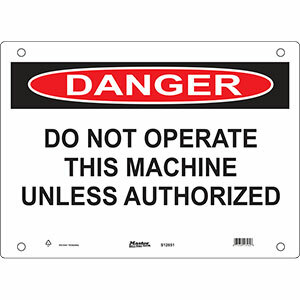 Includes face labels in English, Spanish/English or French/English.